Tickets are a donation of $30 each and can be obtained by calling Ticket Sales Administrators Taylor or Carl at the School Employees Lorain County Credit Union office in Lorain at 440-282-4600, ext. 403. Tickets also can be ordered by mail, using the ticket order form that can be downloaded by clicking on this link. 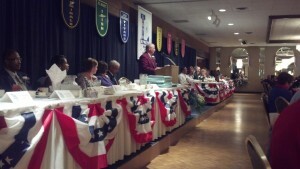 This year’s LSHOF enshrinement banquet will be held Thursday, May 12, at Deluca’s Place in the Park.